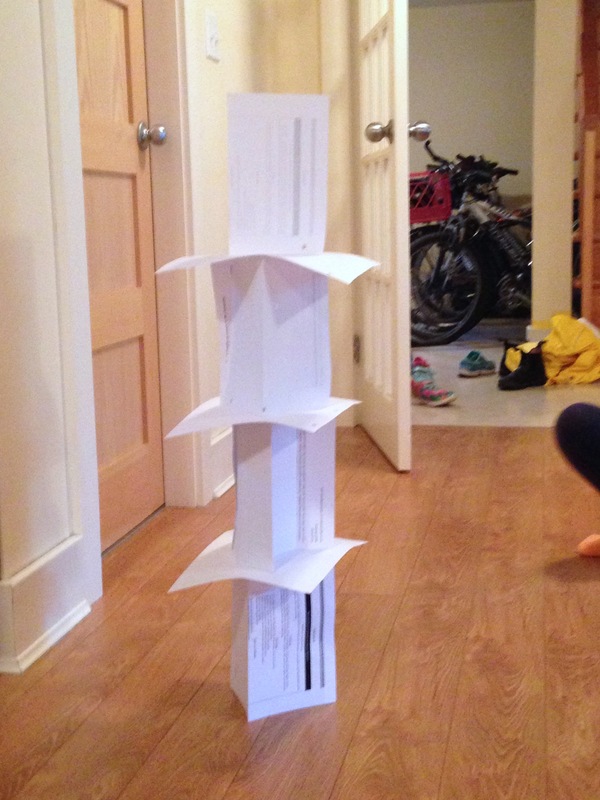 Challenge students to build a tower as high as they can from 10 sheets of paper. 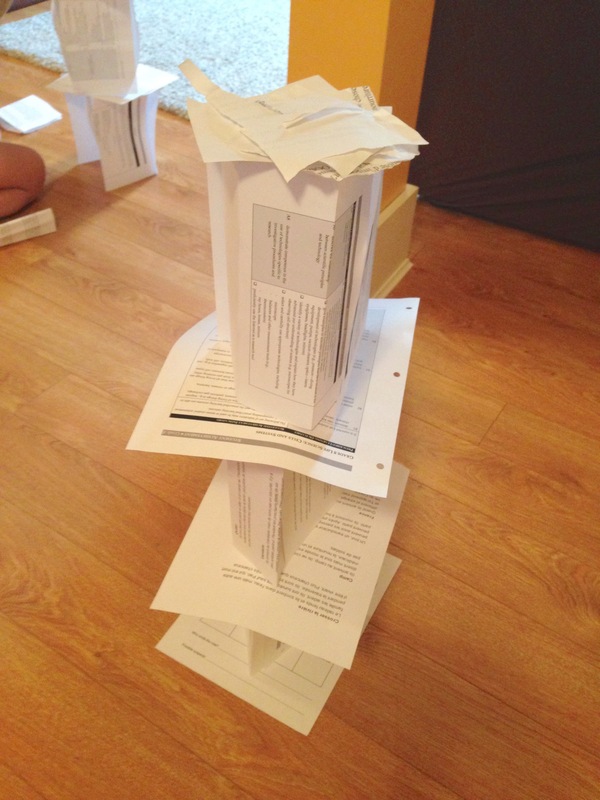 Hand out stacks of paper to each student. 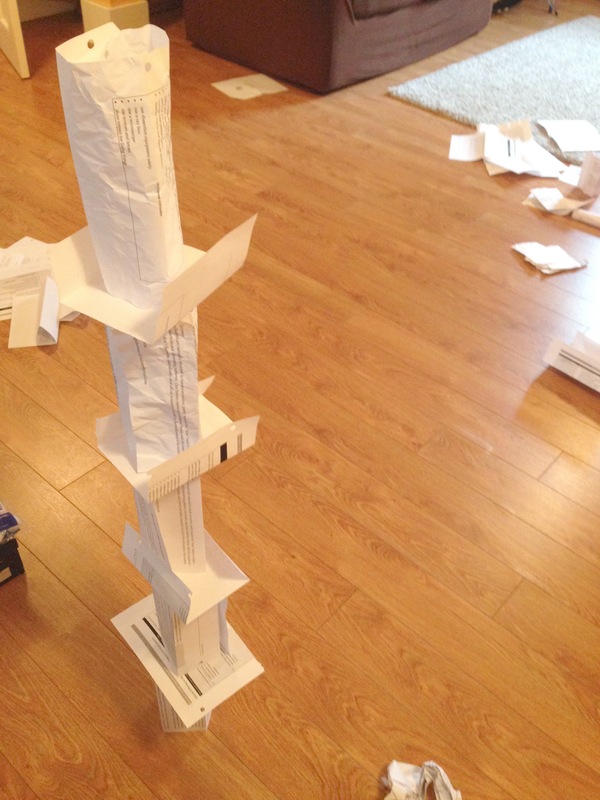 Ask them to build a tower as high as they can with their paper. They can fold and tear the paper as they wish, but get no more materials. Encourage them to exchange ideas (as adult engineers do the same). 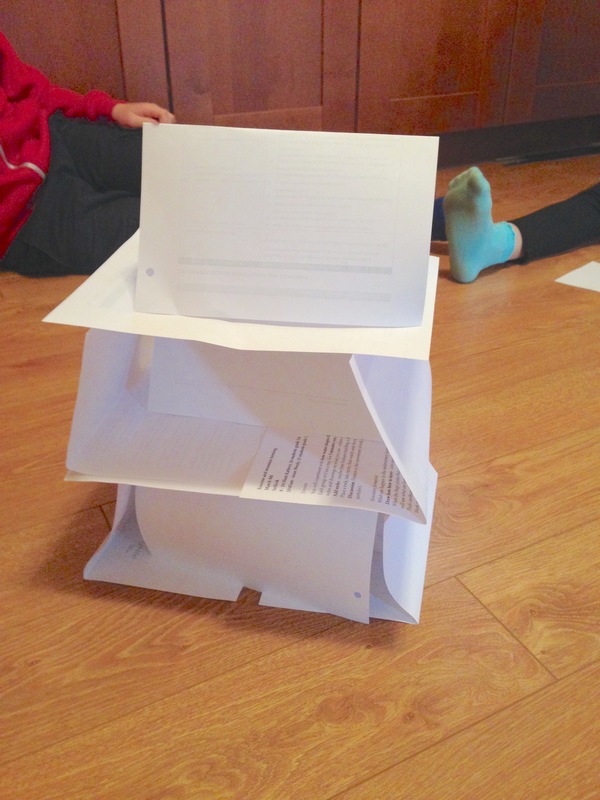 Point out the different styles of towers, and the various ways that students reinforce their structure to make it stable e.g. rolling sheets to make strong columns, creating stability by leaning sheets against each other etc.